No matter how many times panels will be used, they need to be fit for purpose and safe - a heavy vehicle does not need less support if it is only crossing once. 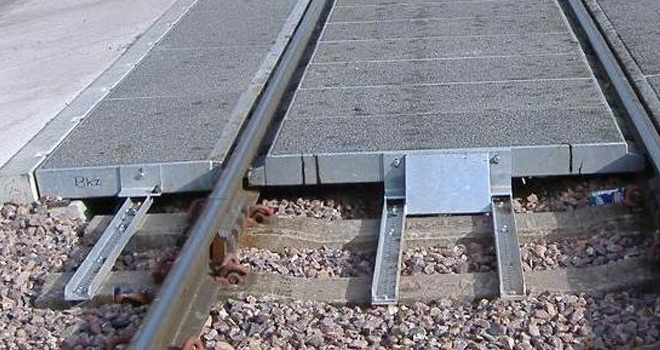 An easy to install, cheap system may seem attractive from a cost point of view but if it proves to be inadequate, damage to the accessing vehicles or infrastructure could lead to catastrophic costs in track downtime or repair. In addition, temporary access points often become permanent points further down the line and if the original system was not up to the job, any small cost saving will be lost through maintenance or a full replacement. A safe, fit for purpose level crossing deck. The option to re-use the components elsewhere if the crossing is removed. If the crossing becomes permanent, no modification or repair is required, simply switch to routine maintenance regime. If access is only required from one side there are significant savings in terms of installation and materials.